Remember that long-haired lady? 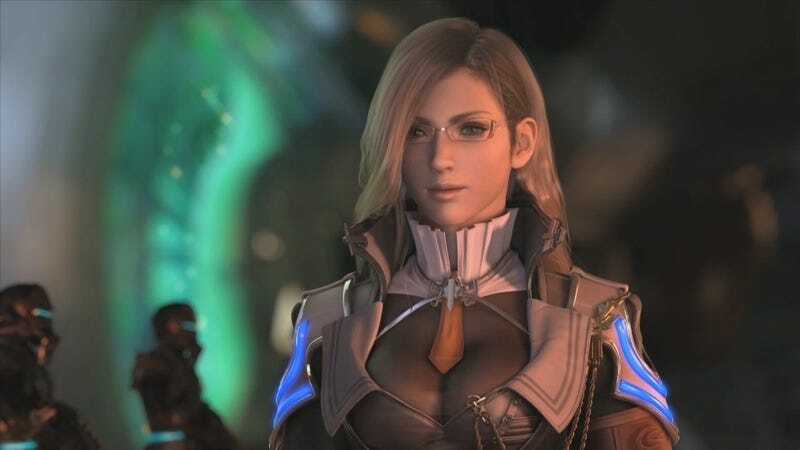 The one in recent Final Fantasy XIII trailers with eye-catching glasses? She has a name, you know. Her name is Jill Nabato, and she's not only a Lieutenant Colonel, but a "cruel-hearted" baddie. But, hey, nice glasses! Update: The official English spelling has been released: Jihl Nabaat.